This is as much of an introduction thread as a picture thread so let me ramble a bit. Or you can skip to the pictures at the end if thats more your speed. Im Chris, and this is how I became a Parker owner. My local music shop (very small shop) used to be a Washburn dealer, and they would get in a couple Parkers every time they ordered a couple Wahsburns. 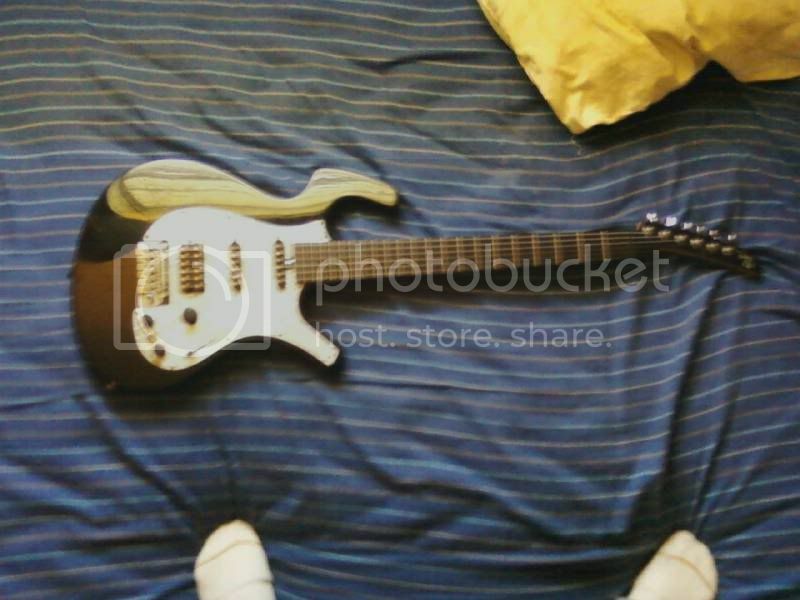 They dont sell a whole of guitars so they didnt put in too many orders from Washburn. 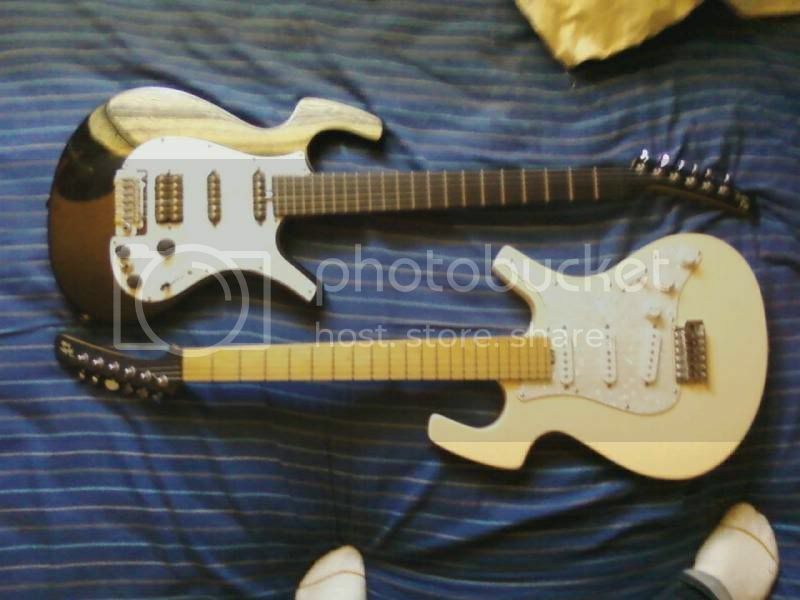 I saw these two but ugly guitars in there week in and week out. One of them eventually sold (I think it was a nightfly, but dont quote me on this) and the other just kept getting marked down. On a whim I tried out this stupid looking guitar, (p-30 btw) and was simply floored. 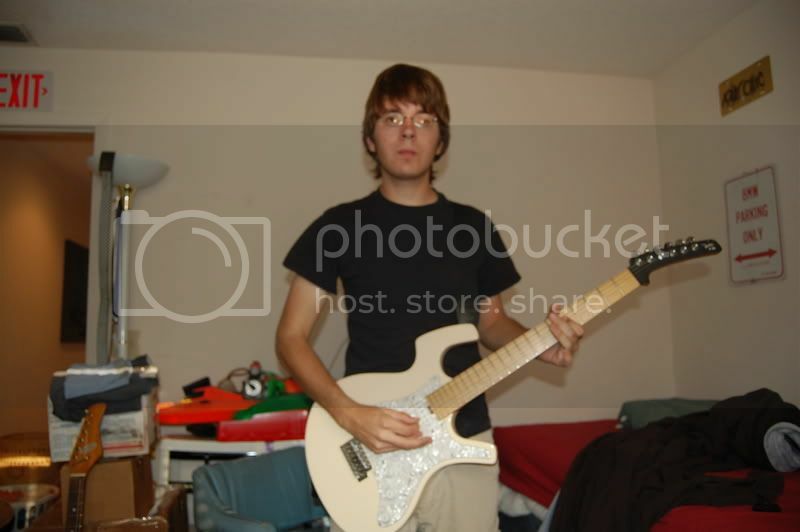 It was everything a MIM strat wasnt for the same price, and I decided I had to have that guitar. Well thats just too darn easy right? I went in the next week to put a deposit down, and it was gone. I didnt bother asking about it since I knew someone else had finally bought it. Fast forward about 6 months. I was in there, talking to the owners wife about that old Parker they had in there a couple months back, and about how Id started looking for one like it. She said her husband figured it wasnt ever gonna sell, and retired it to his personal collection. I talked to him the next day, and put money down the next day. 3 weeks later it was mine for the bargain of $390. The owner had another one that he used to play the occasional acoustic gig with since he didnt like holding an acoustic for a long set. When a small connector for the piezo preamp broke, he retired it, and let it float around the shop for a while as a guitar for students who didnt bring their guitar to use. I played it a couple times this way. Got some jearing from my teacher about it too. Once again I was in the shop talking when my teacher told the owner jokingly to give me the guitar so I have a matching set. I laighed it off, but the owner mentioned that he really wanted to sell it, and quick. He said he just didnt fell like tinkering with it, and hed sell it to me for $75. It not a Fly, but thats still a witchin deal. I picked it up yesterday, and all she needs is a little care. Missing a lof of screws, and the battery cover, but everything else is there. some solder on the jack, and a new connector for the piezo, and she should make some racket. Thanks for cheking out what Im all about. Nice - welcome to the forum. Paid off to be a regular hanging around the shop. Parkers do have a way of surprising lots of people. how is the P-30? Seriously, what is your critique? The Parker P-30 really is a wonderful guitar. Much better deal than a Fender Strat and a similar vibe. I've got one for sale in the classified section right now - I just play my nitefly more these days and need a new amp. P-30 was my introduction to Parker also - trust me, it won't be your last! Enjoy.